Place the slices of bacon on a parchment lined baking sheet and bake at 375 degrees until just starting to get light golden brown, but still pliable so that they can be wrapped around each date. Using a paring knife, make a small incision in each date to expose the large pit in the center, being careful not to cut all the way through the date. Remove the pit, forming a ‘pocket’ in the middle of the date. Combine the cream cheese and blue cheese in a bowl and season to taste with salt and pepper. Stuff about one heaping tablespoon of the cheese mixture into the opening of each date. 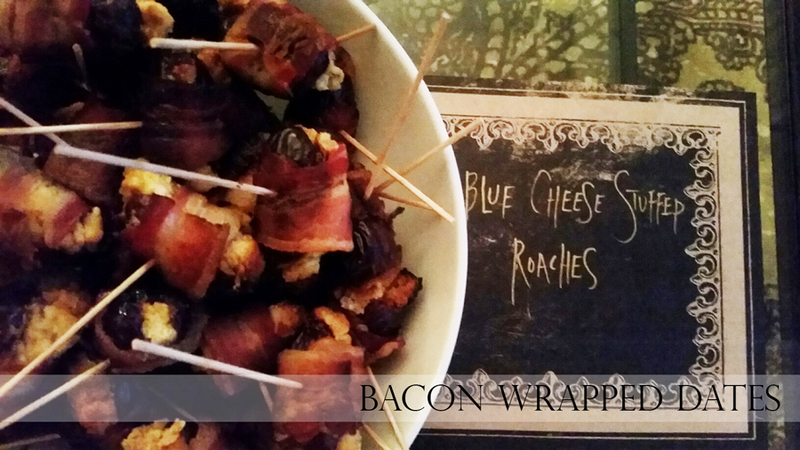 Wrap one piece of the partially cooked bacon around each date and secure with a toothpick. 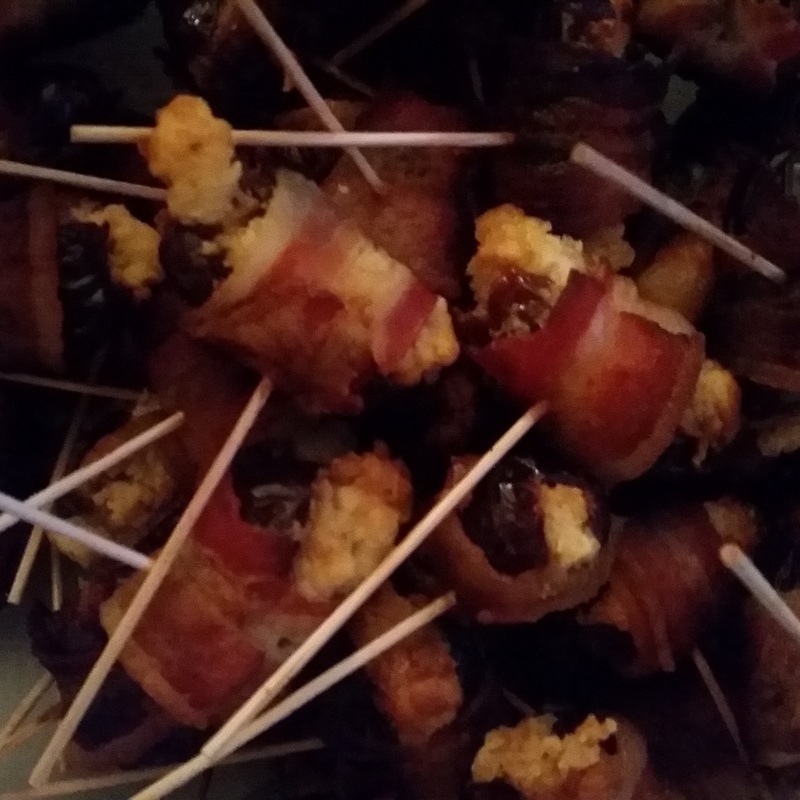 Place bacon wrapped dates, cut side up on a baking sheet covered with parchment paper. Place in cold oven and then turn oven to 375 degrees. Bake until bacon is dark brown and crispy. Remove from the oven and cool slightly. Dates can be served warm or at room temperature.